FT-2000 & FT-2000D Mini-Manual. Same manual covers both radios. Size, 4.5x8 inches. Twenty high-quality laminated pages, loaded with detailed instructions covering all aspects of using these superb HF rigs. An ideal short-form instruction manual. 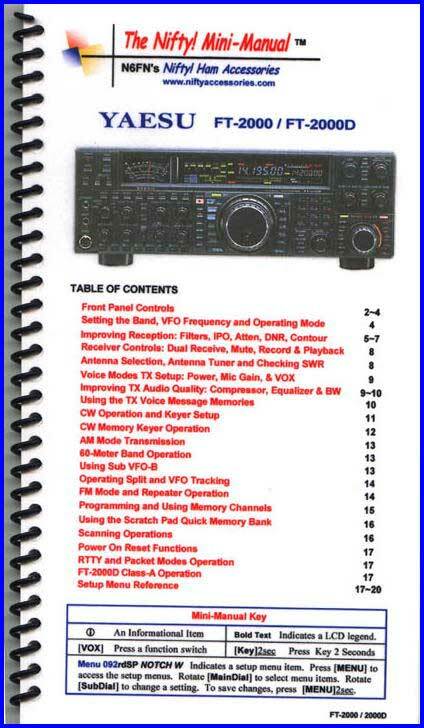 The guide covers both models of the radio.